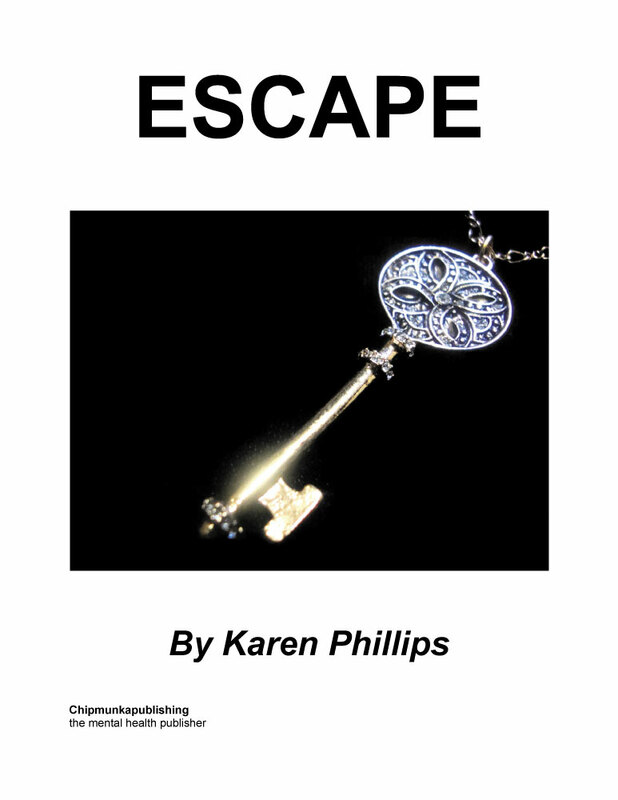 Home :: E-books :: Escape! 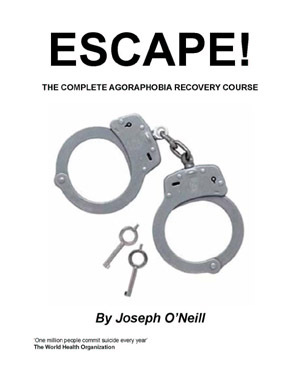 The book is a complete recovery plan for all those suffering from agoraphobia. It deals with every aspect of the condition and provides clear, simple and effective strategies for full recovery. It adopts a holistic approach which ensures improved general health and fitness that form the springboard to recovery. Written in clear, jargon-free language it explains the condition in layman’s terms. It contains guidance on diet, sleep, lifestyle and exercise and explains how these play a vital part in regaining good health. Most important of all are the step-by-step guidelines for overcoming your fears and living a full life. These enable you to progress at the speed that suits you and to tailor your progress to your needs. 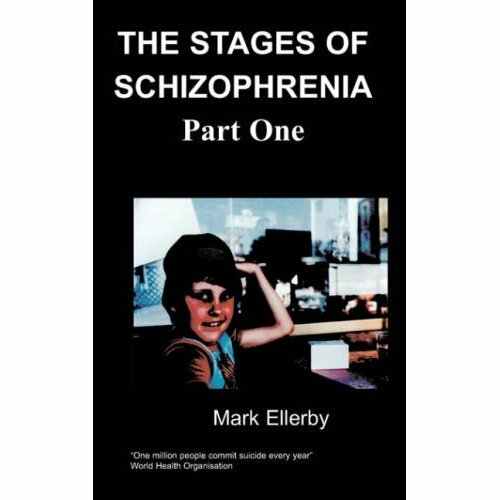 It is written by a former agoraphobic who understands the nature of the illness and knows how easy it is to avoid fearful situations and allow the condition to strengthen its grip. The author explains how to confront and overcome these excuses and motivate yourself to full recovery. Joseph O’Neill is a freelance author and broadcaster. He has broadcast and published in both Ireland and Britain. He suffered from agoraphobia for almost thirty years and experienced most forms of therapy during that time. His experience of what works and what doesn’t forms the basis of this book. I am an agoraphobic, writing this for other agoraphobics. For thirty years I battled against an illness that threatened to swamp me. My self-esteem evaporated. I lost hope. The pressure on my marriage became intolerable. My career was under threat. Trapped in a downward spiral, battered by depression and anxiety, I felt doomed to exist in a shrinking world. Yet today I am symptom-free. I travel abroad several times a year and enjoy a full life. Panic attacks are a memory. But the ordeal of agoraphobia was not for nothing. During those thirty years I tried the full range of therapies. Some helped. Others made my condition worse, prolonged my illness and created problems as bad as those they were intended to solve. Only one fully addressed the problem and broke down the barriers to a full life. I know what is involved in each type of therapy. I know what worked for me -- and I know it as only an agoraphobic can. You can benefit from my experiences, from the bad as much as the good. The biggest mistake I made was denial. For a long time I refused to accept that I was ill. I stuck to the groundless belief that my symptoms would melt away without any effort on my part. Meantime, I told myself, all I had to do was conceal my fears and stay away from the things that frightened me. Little did I know that what I was doing was allowing my fears to bed in and establish roots. Every time I avoided a lift, walked instead of getting the bus or made elaborate arrangements so I wasn’t alone, I was nourishing my phobias, helping them to flourish until they invaded every facet of my life. Only when I refused to accept them and their restrictions did I make any progress. This was the first step to recovery. Do not tolerate your illness as your lot in life. No matter how bad you feel today, you can get better. Agoraphobia is a life sentence only if you accept it. No matter how long you have suffered, no matter what you have told yourself in the past, agoraphobia is a curable condition. There is only one obstacle to your full recovery. Without determination you will not succeed. You may have the best therapy in the world, the most supportive family and friends, a clear understanding of your illness and how to overcome it, but without grit you will achieve nothing. There is no quick fix, no panacea, no tablet that will dissolve your fears. Recovery is a long haul on a bumpy road. You will have setbacks and disappointments. There will be times when you feel you are making no progress and are even going backwards. Some days you’ll seethe with anger and frustration. On occasion you’ll feel worn down by the challenges of recovery. At times like this you’ll find good reasons for giving up. Agoraphobia is a serpent, always whispering in your ear. ‘All this is a lot of messing about. It takes up too much time,’ it hisses. ‘This can’t be making me better because my panics have increased,’ it reasons. ‘What’s so bad about the way I am? It’s easier to leave things as they are,’ it tempts. ‘This isn’t fair on my family. It’s creating too much stress,’ it coaxes. All these arguments are plausible. Giving up is always the easiest option. The Arctic explorer, lost and exhausted, knows that if he lies down in the snow and falls asleep he is dead. In the same way, the recovering agoraphobic must always fight the temptation to give up. After all, like every agoraphobic, you’re a master at talking yourself into trouble. In the past you’ve convinced yourself of the most implausible things. You’ve persuaded yourself that you’ll go insane or drop down dead if you step inside a lift or walk into a busy supermarket. Yet there is no basis for this in fact. In the annals of medical science you won’t find a single case of an agoraphobic suffering any long-term ill effects from exposure to even the most dreaded situation. How to overcome this negative self-talk is just one of the things this book will teach you. It is a vital part of a practical, holistic approach to tackling your phobia and its consequences. This approach is reduced to a number of simple procedures, which ensure that you tackle your phobias in manageable stages. I assure you that if you follow these steps you will make steady progress. Do not skip stages or rush ahead. Your condition did not occur in an instant nor will it disappear overnight. There is no shortcut to recovery. But let me give two assurances. None of the strategies I suggest can do you anything but good. They are all consistent with accepted medical opinion. As well as helping you overcome your phobias they will also improve your general health and well being. At the outset you may feel you do not have the courage to tackle a programme of recovery. Please, don’t underestimate yourself. Phobics are courageous people. Those without phobias experience terror very seldom – if ever. You grapple with terror every day. Your determination to live a normal life is testimony to your courage. Draw on that courage to carry you through to complete recovery.